Sweetgrass Psychological Services is proud to sponsor our third annual Girls in the Bob Trip this summer. The Girls in the Bob will take place July 17th - July 23rd, 2018! 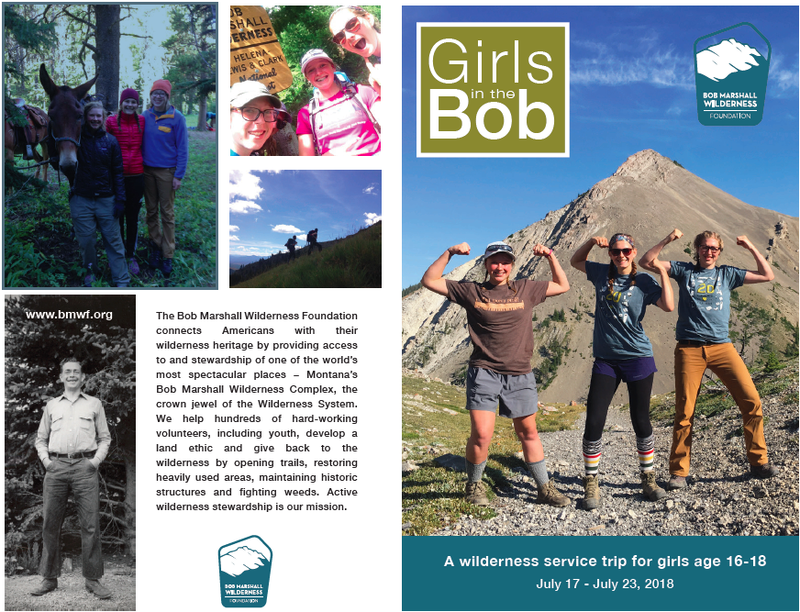 In partnership with the Bob Marshall Wilderness Foundation, we will be taking 6-8 young ladies (ages 16-18) out into the back country of the Bob Marshall Wilderness for a memorable, challenging, fun service trip. The trip is July 17th-July 23. If you'd like to be one of those ladies, please fill out THIS APPLICATION and send it to Sara. For more information, see our brochure here!